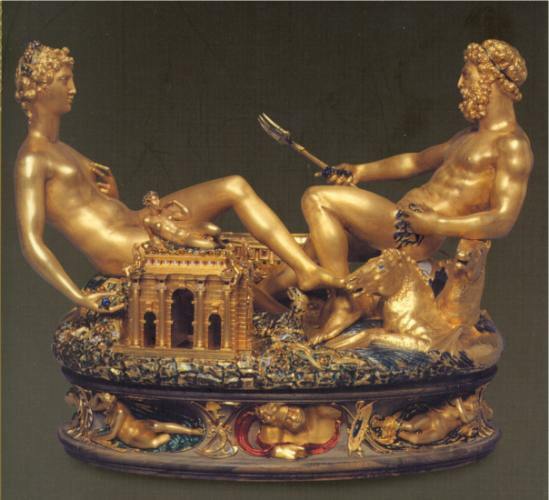 This description, given by Benvenuto Cellini (1500-1571: famous for the golden figural salt cellar now at the Kunsthistorisches Museum of Vienna) in his autobiography 'Vita', confirms that ort bowls, slop bowls, alms-dishes, voiders, waste-pots, waste bowls... (among the many names by which these items have been known), were used since ancient times. 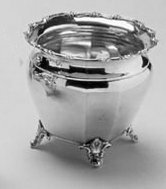 In their different shapes, measures and materials they are containers into which to put unwanted scraps and pieces of food in order to clear the plate. 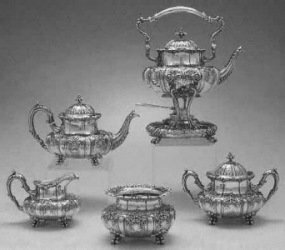 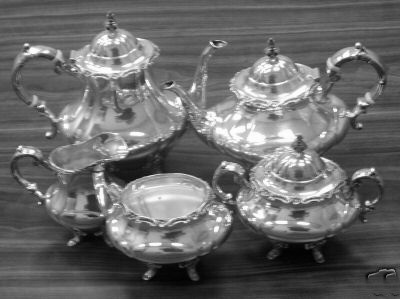 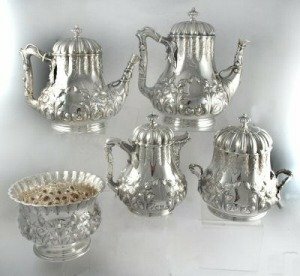 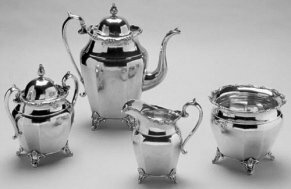 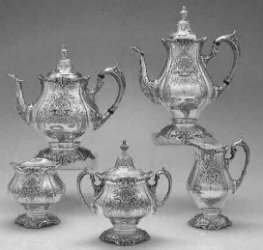 By the middle of the eighteenth century, small circular or octagonal bowls were added also to the equipment necessary for the serving of tea. 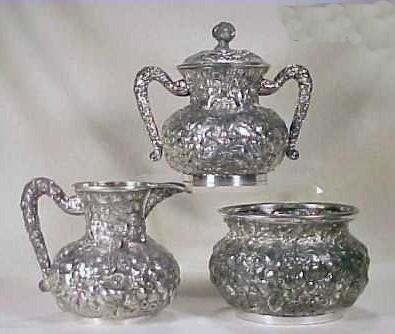 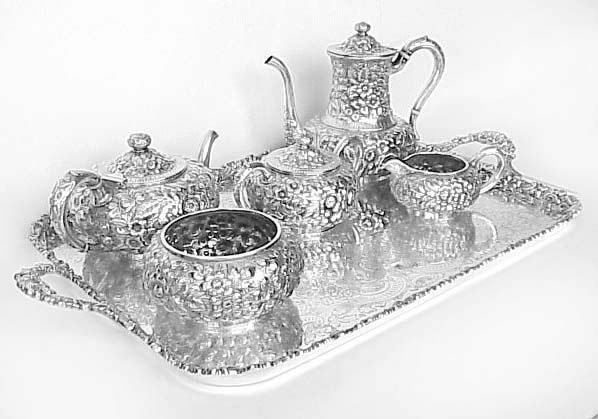 Slop bowls, as they were then called, were used for pouring out the remaining cold tea in a cup before pouring another. 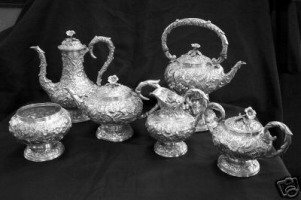 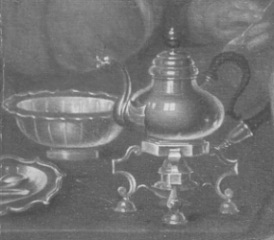 It was not until the second half of the eighteenth century that the form became standard equipment of the tea table. 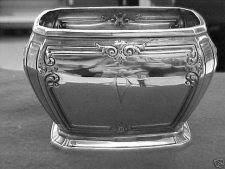 In the classical period they became designated as slop basins, and in general were fashioned with a large basin form supported on a pedestal base. 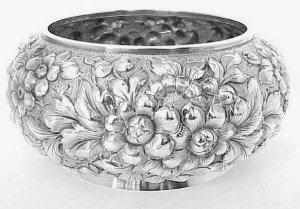 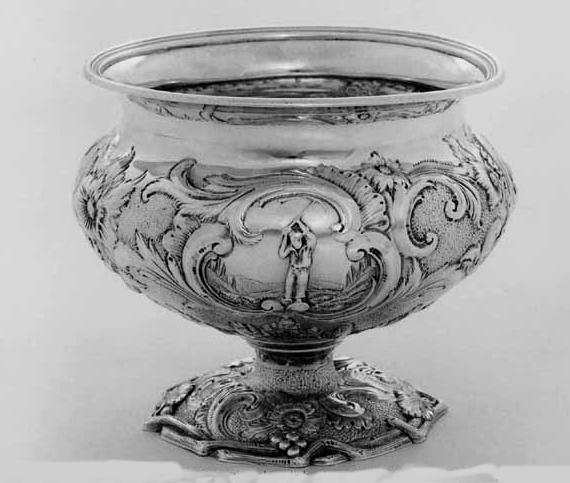 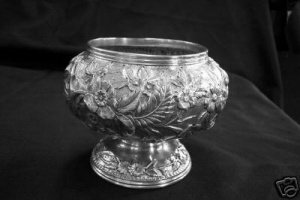 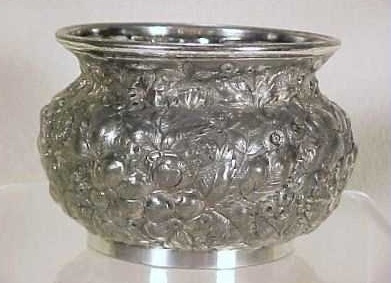 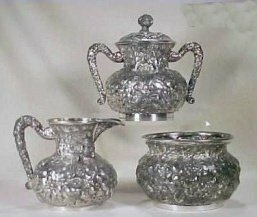 In the nineteenth century the slop bowl continued as a circular basin without any handles or lid, and was almost twice as large as the sugar bowls in teasets. 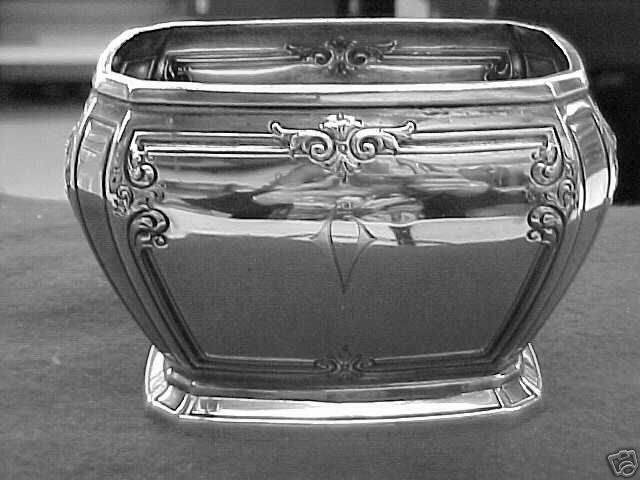 Often it had a wide projecting rim at this period, a practical measure taken against splashing during use. 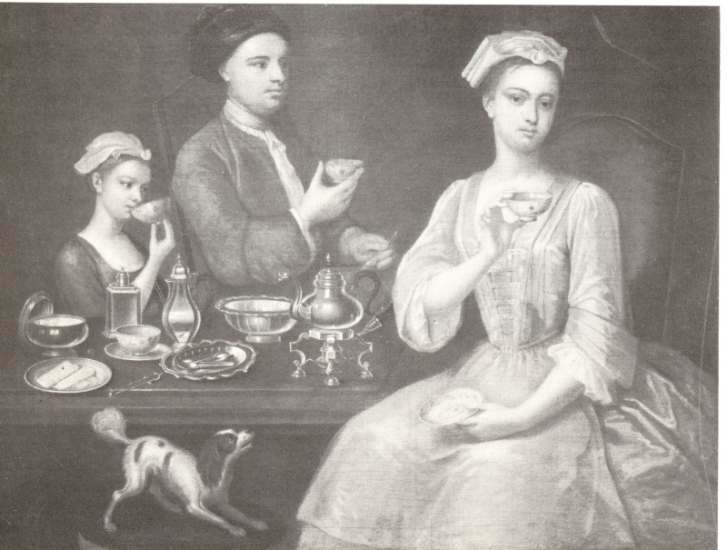 "Family of three at the tea", an oil painting by Richard Collins c. 1725, showing the Gay family and the silver tea equipment of the George I period, including, left to right, a covered sugar bowl, hexagonal tea canister with domed lid, hot milk (or hot water) jug, waste bowl and pyriform tea pot on a stand with a spirit lamp. The shape of the waste bowl may result in a misidentification and usually a certain designation is possible only when it is part of a complete teaset or when coupled to its companion sugar bowl. 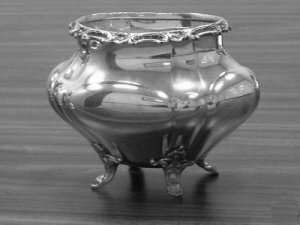 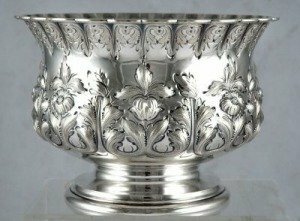 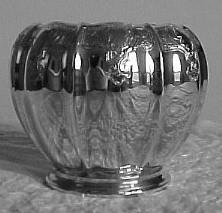 Often, a 'single' waste bowl is offered for sale, by unaware dealers, as more appealing ... sweetmeat bowl ... sugar bowl ... centerpiece ... or some other fancy designation.